“Like golf, life itself has rough patches, water hazards, sand traps, missed swings, and days when you simply can’t make the ball behave the way you want it to. One thing I know for sure: you can’t quit before you reach that 19th hole.” These are the words of Sam Newsome, a Youth on Course member who started playing golf when he was just six years old when he fell in love with the game at a junior golf camp. Sam grew up in Marin County and prides himself on always staying active in various sports. As he began to focus on improving his golf skills, his best friend introduced him to Youth on Course (YOC). Sam says that YOC made it possible for him to play at an affordable cost that he otherwise would not have been able to on his family’s budget. Sam notes that some of his closest friendships today started with a couple of games of golf and getting to know each other just by being on the course. Most of Sam’s friends had the YOC card as well, so the program gave them the opportunity to learn and grow together. Youth on Course made golf and these experiences more accessible to Sam. As a member, YOC gave Sam the opportunity to play golf frequently and exposed him to courses he otherwise would not have been able to play. 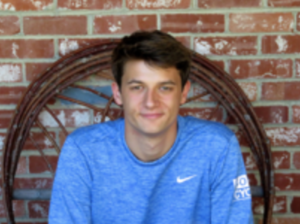 As a scholarship recipient, YOC has given Sam the financial assistance he needed to be able to attend college, while also providing mentoring experiences with Board Member Paul Morton and Executive Director Adam Heieck. Sam aspires to complete his education, find a career where he can be happy and successful, and explore all the possibilities life has to offer.